The Pelican Beakon is the pelican newspaper for pelicans, by pelicans and their one human staff photographer. 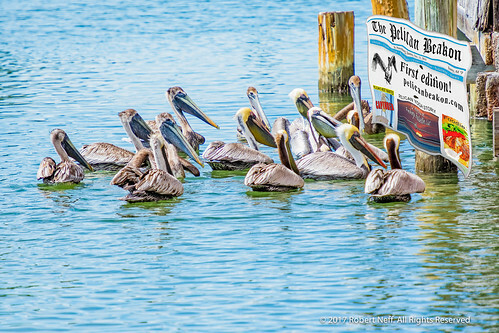 Established on October 12, 2014 in St. Petersburg, the Pelican Beakon reports on pelicans, waterbirds, shorebirds, news, weather, food, and lifestyle, and much more. There is an underlying environmental, conservation, education, and travel and tourism message. This book recaps several of the top stories over the years. This is book series telling stories such as the loss of old Florida and its Seafood Shacks, "Yellow Shoes" the snowy egret who was a grouper thief, how Lois founded pelican yoga, tour of the rookeries, the Pelican March on Pass-a-Grille, pelican yoga in the Caribbean, and how birds species coexist with humans. A full web site will be ready this Fall. Be sure to like us on Facebook at Pelican Beakon. and Twitter. Read about "Friends of Pelican Beakon"
Pelican Beakon wins Silver Medal in National Book Award. 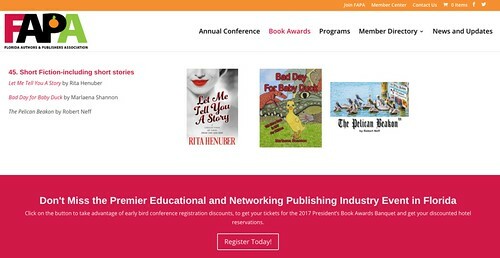 Pelcian Beakon was awarded a silver medal at FAPA President’s Book Awards, which recognizes book publishing excellence and creativity in design, content, and production for North American authors and publishers. Learn why Pelican Yoga is the next hottest Yoga craze! The concept and hashtag for #PelicanYoga was developed by Robert Neff to celebrate the pelican's character. Robert is the storyteller who combines photography and wit to celebrate yoga from a pelican's perspective. Critiques are saying, "Clever, well done series. Robert Livingston Seagull Pelican meets the 21st century in the person of #pelicanyoga." The Pelican Beakon started Pelican Remembrance Day to remember those who had been lost to both DDT and the Great Slaughter. 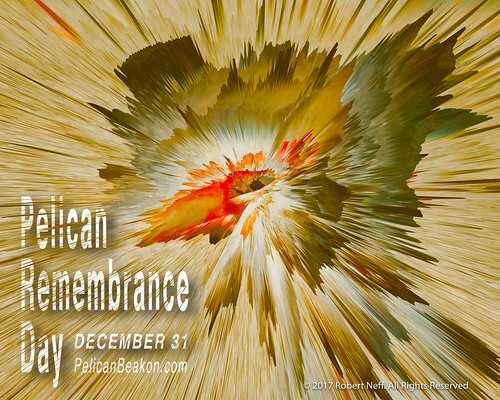 The first Pelican Remembrance Day was December 31, 2014. #PelicanYoga classes can be tailored to your wants and needs. Try yoga, fish cleaning and music class. My book, The Pelican Beakon, was awarded a silver medal at FAPA President’s Book Awards for FAPA President’s Book Awards in the category, Short Fiction-including short stories. Award ceremony was 5 August in Orlando. BOOK RELEASE ANNOUNCEMENT: eBook and hard copy available late Fall or early Spring. Book was pulled back to add more content and makeadjustments to the layout. #‎PelicanYoga‬ knows which rehab centers and nursing homes are Tampa Bay's best! That's why they recommend Clearwater Marina Aquarium. It's a top hospital too! Have two friends, white pelicans named Ricky and Lucy, who know Winter the Dolphin. They get the inside scope on Winter and new friend Hope. Plus, they have made friends with otters and sea turtles. Watch as they sneak in care packages! Rumor is they will start a yoga class to help with rehab.